May 8, 2018 / Comments Off on Dreaming in Streaming Video? Before you say, “I only dream about warmer weather at this point”, let me let you in on a little secret… Maybe you should be dreaming about streaming video. After all, it’s like the Netflix of safety training. And who doesn’t like Netflix? “Introduction to OSHA” compliance update – OSHA has reduced the required introduction coverage from two hours to just one hour allowing more time dedicated to risky business, such as working at heights with fall prevention. OSHA’s new guidance – OSHA will now allow shorter courses as long as they build to the 30-minute minimum per topic. Focus Four topics – If more time is spent in this area than is required, the additional time may be reported in the specific focus four area or under such elective topics as scaffolds, cranes, and excavations, as applicable. Also Falls topic has increased from 1.25 hours to 1.5 hours. What does this mean for you? It means that your training may need updating or the materials you supply to your workers could need new content. These aren’t huge changes, but they need to be noted and your training needs to reflect them. More details can be found on the OSHA website. Not sure what you need? Luckily for you, we’re on top of it. Give us a call today to start a conversation of how we can help. Why Online OSHA 10/30 Hour Training? April 12, 2018 / Comments Off on Why Online OSHA 10/30 Hour Training? Long story short, it’s easier… And faster. Online OSHA 10/30 Hour training gets you the certifications you need when you need them and where you need them for both general industry and construction. What’s more? Your employees will experience training that is more relevant, keeps their attention, and stays with them long after the training has been completed. You might say we’re a little biased… we’ve been in this business a long time and have seen first hand the benefits of online OSHA 10/30 Hour training. If you’re thinking about making the switch or need any help navigating online training needs, give us a call and let us help you get what you need. To draft off of our previous article… if you need it, we’ve got it – and now, we even have new content AND new mobile formats to fit your needs. Our goal is to help you make the right decision on content and delivery needs and alleviate the hassle of working with different vendors, which is exactly why Evolved Safety works with multiple OSHA 10 & 30 hour providers to effortlessly find your perfect solution… all from a single point of contact. Let us make it easy for you to get the OSHA training you need when you need it with the help of our vendors. Call us today. It’s Time to Check in with 2018 – What’s on OSHA’s Docket for Next Year? November 8, 2017 / Comments Off on It’s Time to Check in with 2018 – What’s on OSHA’s Docket for Next Year? Another year has flown by, but that’s okay; it’s another year where we get to do what we do best – help our clients and their employees stay safe and in compliance… and stay prepared. And now’s a better time than ever to get prepared for 2018 by checking in with the Occupational Safety and Health Administration (OSHA) and their plans for next year. Respirable Crystalline Silica – To better protect workers exposed to respirable crystalline silica, OSHA has issued two new respirable crystalline silica standards: one for construction, and the other for general industry and maritime. OSHA began enforcing most provisions of the standard for construction on September 23, 2017, and will begin enforcing most provisions of the standard for general industry and maritime on June 23, 2018. Installing personal fall arrest or ladder safety systems on new fixed ladders over 24 feet and on replacement ladders/ladder sections, including fixed ladders on outdoor advertising structures. Cranes & Derricks in Construction – With the significant safety issues to be considered, both for the operators of the diverse “lifting” devices, and for workers in proximity to them, a lot of careful training and extensive workplace precautions have been developed for these operations – the most recent being a notice of proposed rulemaking for the Crane Operator Certification Extension. OSHA is proposing to delay the enforcement date for crane operator certification for one year from November 10, 2017, to November 10, 2018. What does this mean for you? If your company or employees are involved in any of these areas, it’s time for some updated consulting and even training to ensure you’re up-to-date and in compliance. 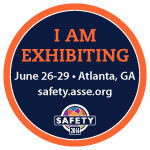 Now’s a great time to get ahead of the game, and Evolved Safety can help. If you have any questions or comments, please don’t hesitate to contact us. If you recall back in mid November, the Occupational Safety and Health Administration issued a final rule to update its 44-year old general industry Walking-Working Surfaces standard that protects workers from slip, trip, and fall hazards. Going into effect on January 17, 2017, the new final rule updates walking-working surfaces standards and establishes personal fall protection requirements to increase consistency in safety and health standards for people working in both general and construction industries. The rule’s most significant update is allowing employers to select the fall protection system that works best for them, choosing from a range of accepted options. OSHA Assistant Secretary Dr. David Michaels says, “The final rule will increase workplace protection from those hazards, especially fall hazards, which are a leading cause of worker deaths and injuries”. OSHA estimates the final rule will prevent more than 5,800 injuries a year. For more information, here is OSHA’s press release regarding the update. 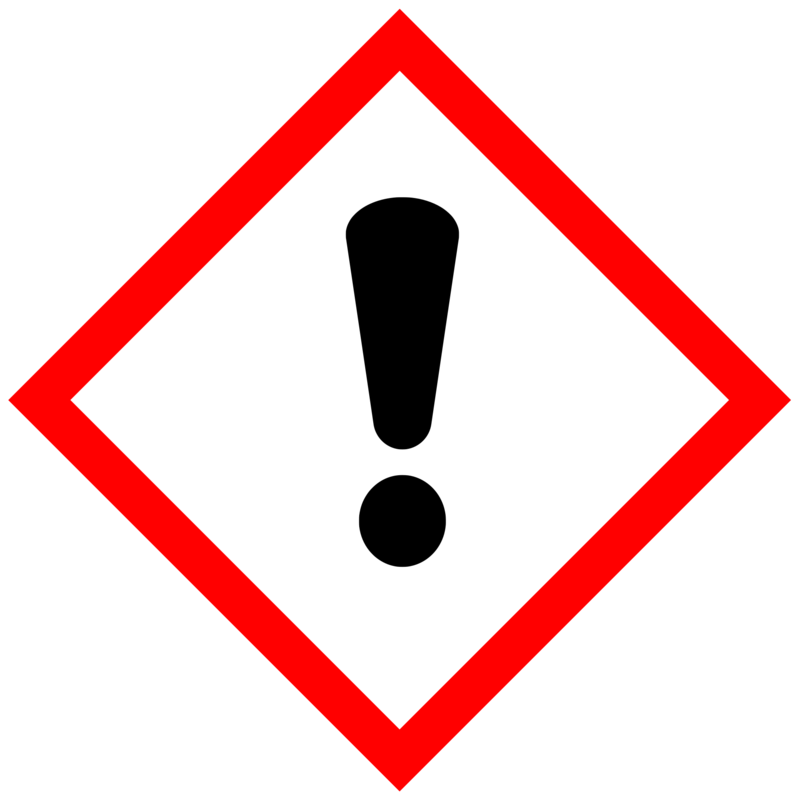 June 1, 2016 marked the final deadline for compliance with the Globally Harmonized System (GHS) for the Hazard Communication standard. However, a recent survey conducted by the software firm Actio suggests that at least half of the companies in the United States affected by GHS have yet to fully comply. This isn’t the first concern with compliance that GHS has faced. Many manufacturers missed the June 1, 2015 compliance deadline to reclassify chemicals under the new GHS format and update their SDS (Safety Data Sheet) information and labels. And not surprisingly, according to employers, the largest obstacle in their compliance is obtaining updated SDS information from the manufacturers. The June 1, 2016 final deadline for GHS requires organizations to produce secondary chemical labels, which will prove difficult if they can’t obtain SDS information from their suppliers. Queue the dominoes. Training workers was named the second biggest compliance hurdle. The first training deadline for GHS was December 1, 2013, which required training employees on how to use the new chemical labeling and SDS formats. Remember, as part of GHS we changed to pictogram style labels and from Material Safety Data Sheets (MSDS) to Safety Data Sheets. Today, employers must review their entire training library to ensure materials are up to date. Even programs that don’t directly address chemicals may reference outdated information, such as old labels or MSDS, which could confuse or mislead employees. Most important, programs addressing specific chemical hazards or chemical handling, including DOT programs, must be up-to-date to ensure employees receive the right information. Consistent and correct information throughout your entire training library is key to ensure employees understand the requirements. According to the survey, organizations have spent around $50,000 to comply with GHS. In addition to labeling equipment and EH&S management software, the money has been spent on outsourcing SDS authoring and employee training to ease the burden on the organization. OSHA says they will continue to support implementation of GHS. Maureen Ruskin, a director with the office of chemical hazards, addressed the agency’s development of new compliance resources to assist with implementing the standard, including OSHA’s partnership with the Department of Transportation (DOT), Hazardous Materials Identification System (HMIS) and the Canadian government to produce guidance that will include training modules on GHS labelling requirements and SDSs. Instructions for site-specific information for workplaces will also be included. In addition, the hazard communication safety and health topic webpage has been updated and includes letters of interpretation and addresses other issues that have arisen during implementation. Our friends to the North (aka Canada) are halfway through their implementation of GHS. The amended Hazardous Products Act (HPA) and the new Hazardous Products Regulations (HPR) took effect in February 2015. The transition to the new system – referred to as WHMIS 2015 – will take place over a four stage period, with a final deadline in December of 2018. Their guidance information will be released in two parts this year, with a goal to assist organizations with the first June 2017 compliance milestone. This is a key component of the Canada-US Regulatory Cooperation Council (RCC) Joint Forward Plan to communicate and facilitate alignment of the GHS for workplace chemicals between the two countries, without reducing worker safety. Need assistance with GHS? From current training materials to onsite training and consulting services, we’ve got you covered. Let’s talk about getting your GHS compliance done. The new record keeping rule, which takes effect January 1, 2017, requires employers to electronically submit injury and illness data, some of which will also be posted on the OSHA website. This is information that workplaces are already collecting as required under the OSHA Recordkeeping rule but unless reviewed during an OSHA inspection the data was rarely seen outside of the organization or reported to OSHA. The final rule also requires employers to inform employees of their right to report work-related injuries and illnesses free from retaliation; clarifies the existing implicit requirement that an employer’s procedure for reporting work-related injuries and illnesses must be reasonable and not deter or discourage employees from reporting; and incorporates the existing statutory prohibition on retaliating against employees for reporting work-related injuries or illnesses. These provisions become effective August 10, 2016. OSHA believes that public disclosure will encourage employers to improve workplace safety and provide valuable information to workers, job seekers, customers, researchers and the general public. According to David Michaels, the assistant secretary of Labor for occupational safety and health, “Behavioral economics tells us that making injury information publicly available will “nudge” employers to focus on safety. And, as we have seen in many examples, more attention to safety will save the lives and limbs of many workers, and will ultimately help the employer’s bottom line as well.” The amount of data submitted will vary depending on the size of company and type of industry. Currently, there are no details on how the information will be presented online. Our onsite consulting services and recordkeeping training programs can make sure you are in line before the information goes online. Let’s talk about how we can help. For compliance with OSHA Recordkeeping requirements, employers with 10 or more employees in the previous calendar year are obligated to post a copy of OSHA’s Form 300A, which summarizes job-related injuries and illnesses logged during 2015. The summary must be displayed in a common area where notices to employees are usually posted each year between Feb. 1 and April 30. Establishments with less than 10 employees in the previous calendar year and those in certain low-hazard industries are partially exempt from routinely keeping OSHA injury and illness records. Due to changes in OSHA’s recordkeeping requirements that went into effect Jan. 1, 2015, certain previously exempt industries are now covered. See the lists of both exempt and newly covered industries for details. Under the Jan. 1, 2015 updates, employers are required to use the Log of Work-Related Injuries and Illnesses (OSHA Form 300), the Summary of Work-Related Injuries and Illnesses (OSHA Form 300A), and the Injury and Illness Incident Report (OSHA Form 301). You must fill out the Log and the Incident Report only if a recordable work-related injury or illness has occurred. Forms can be accessed here. It’s the hot topic of the workplace regulatory world. It’s the ‘would be’ cherry on top for an outgoing OSHA administration. And, it’s been on the docket since 2013. It’s the proposed Silica rule and it’s very likely that this rule will be passed this year. Here’s a quick breakdown on the progress of the rule so far and what you might be able to expect. 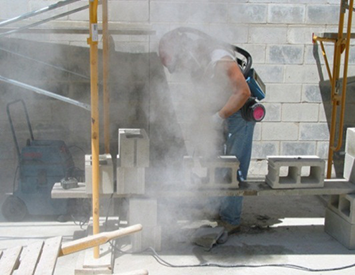 Who – According to OSHA, about 2.2 million workers are exposed to respirable crystalline silica in their workplaces, the majority being in the construction industry. Exposure to silica occurs when workers cut grid, crush or drill silica-containing materials such as concrete, masonry, tile, and rock. Worker exposure occurs in general industry operations such as brick, concrete, and pottery manufacturing, as well as operations using sand products, such as foundry work and hydraulic fracturing (fracking) of oil and gas wells. Workers are also exposed during sandblasting in general industry and maritime workplaces. What – Crystalline silica is a mineral that occurs in several forms. Quartz, the most common form, is a component of sand, stone, rock, concrete, brick, block, and mortar. Many of these materials are used every day across a wide variety of industrial settings, including construction, mining, manufacturing, maritime, and agriculture. Both industry and worker groups have recognized that a comprehensive standard for crystalline silica is needed to provide for exposure monitoring, medical surveillance, and worker training. 8/2013 – OSHA announces proposed rule for silica exposure. 9/2013 – OSHA publishes proposed rulemaking in the Federal Register. The public will have until December 11, 2013 to make comments. Hearings on the proposed rule will being March 4, 2014. 10/2013 – OSHA extends comment period to Jan 27, 2014. A live web chat is held on Jan 14th to provide the opportunity for the public to ask questions, get clarification from OSHA on the proposed silica rule and learn how to participate in the regulatory process. 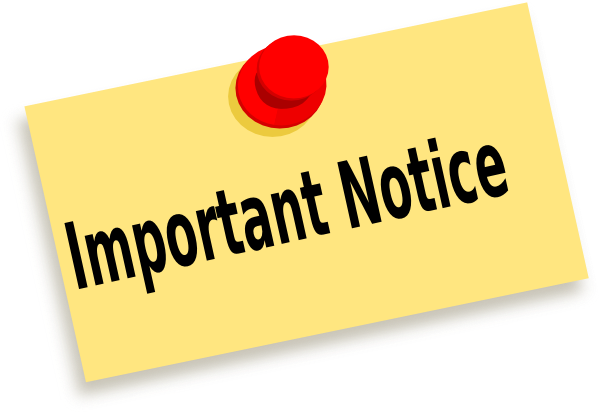 2/2014 – In response to concerns raised about possible public confusion due to an error on www.regulations.gov, the federal government’s online portal for submitting rulemaking comments, OSHA extends the comment period for a second time to Feb 11th. The hearings have been pushed back to March 18th. 3/2014 – Public hearings for the proposed silica rule begin. OSHA received over 1,700 comments from the public on the proposed rule, and over 200 stakeholders provided testimony during public hearings. 12/2015 – Final draft of the rule sent to the Office of Management and Budget’s Office of Information and Regulatory Affairs (OIRA) for review. The OIRA has 90 days to review the rule from this date, however, these dates are often extended. OSHA hopes to publish the rule next month. Why – Exposure to high levels of respirable crystalline silica causes acute or accelerated forms of silicosis that are ultimately fatal. From 2009 to 2013 silicosis was identified on over 500 death certificates as an underlying or contributing cause of death, in addition, a number of cases probably go undetected. The International Agency for Research on Cancer has designated crystalline silica as carcinogenic to humans, and the National Toxicology Program has concluded that respirable crystalline silica is a known human carcinogen. Exposure to crystalline silica has also been associated with an increased risk of developing tuberculosis and other nonmalignant respiratory diseases, as well as renal and autoimmune diseases. Exposure studies and OSHA enforcement data indicate that some workers continue to be exposed to levels of crystalline silica far in excess of current exposure limits. There have been no details released on what exact changes to the rule were made prior to submitting to the OIRA. We can expect an overhaul to the PELs, as the current PEL for general industry is based on a formula proposed by the American Conference of Governmental Industrial Hygienists (ACGIH) in 1968. There will also be updates to the PELs for construction and maritime industries. In addition to requirements for respiratory protection, the original rule proposed control methods such as a wet method for hand-operated grinding and a dust collection and control system. There will also be requirements set for training, labeling, monitoring, medical testing, and other information-gathering and information transmittal provisions.